That the council is a forum for all pupils to have a voice and contribute towards the continuous improvement of our school community, ensuring our school, is a fun and happy learning environment that we can be proud of. How does our School Council fulfil this vision? - Our school council works together as a team to ensure we can be the best school possible by discussing ideas and making decisions. - We aim to make pupils feel comfortable, happy and safe at school. - We aim to listen to others and discuss comments and suggestions that would make our school an even more wonderful place. - We shall work hard to make our world a better place. How do we Function as a Council? - Each form class has a Council suggestion folder in their classroom. - The Year 8 classes have a councilor attached to them. - We meet every Friday at break time in my room, where we discuss issues and pupils can have a special break of tea, coffee or juice with biscuits. - We try to have a one hour meeting after school at least once every 6-8 weeks. - We have also had the opportunity to have a meeting during dropdown timetable at different times in the year. Congratulations to our new Digital Leaders who will head the promotion of technology within the school including the use of iPads and eSafety at KS3 and KS4. The aim of the Health Promotion Team is to encourage staff and students to make positive decisions to develop and maintain a healthy lifestyle. The team will focus on areas such as physical activity, healthy eating and making healthy choices. Each member of the team will work closely with the Health Education Co-ordinator to promote a healthy mind set. They will do this through displaying health messages on a noticeboard, designing posters and leaflets for pupils, staff and parents, producing and presenting power points for whole school assemblies, assisting in year group workshops, organising and implementing physical activities and sharing health documents with form teachers. 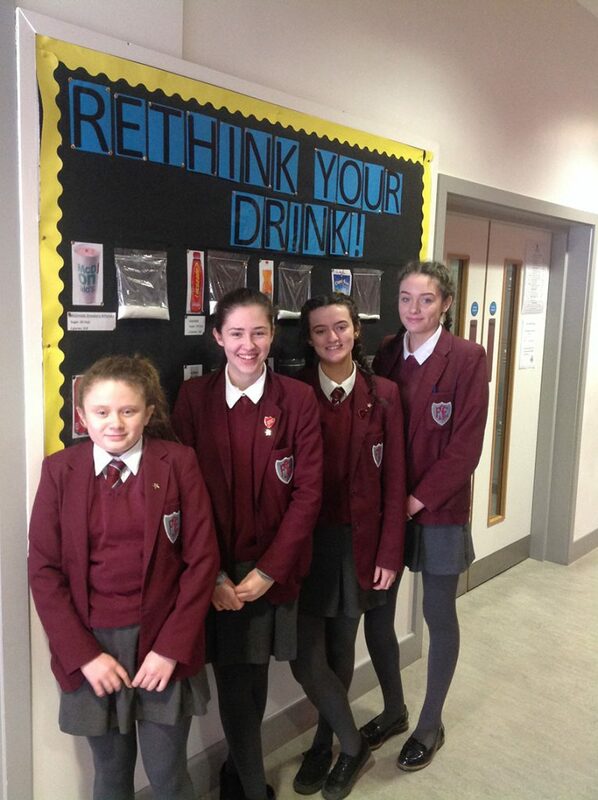 The Health Promotion Team is led by Amie- Leigh Harvey and consists of 3 other members, Amie Fitzpatrick, Emma Mc Nulty and Jenny Boyd. Numeracy is the ability to apply appropriate mathematical skills and knowledge in familiar and unfamiliar contexts and in a range of settings throughout life. 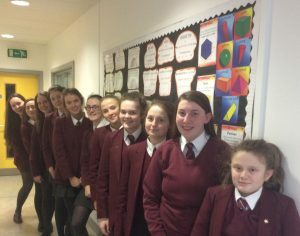 St Fanchea’s College Numeracy Prefects support staff in the delivery of Numeracy across the curriculum, providing advice and assistance as appropriate. The Pastoral team within St Fanchea’s provide support, friendship and a listening ear for fellow pupils and work alongside teaching staff and pupils. The underpinning value of the work is to ensure that every pupil has a support network – someone they can talk to when they need help. The Roving Reporters are a group of keen writers, lead by Year 12 students. Their aim is to provide a student voice within the college, reporting on a wide variety of issues from local events to teen issues or interests. They are also responsible for the creation of our school newsletter, keeping the school community up to date with what is happening in St Fanchea's. The Oratory Team is a group of 7 pupils from years 9-12 who have a shared responsibility for leading break-time prayer in the Oratory and taking lead roles in whole school liturgies such as Mass. They meet regularly with the head of R.E. to plan for seasonal events in the church year, such as Advent in order to develop their leadership potential as young Catholics. 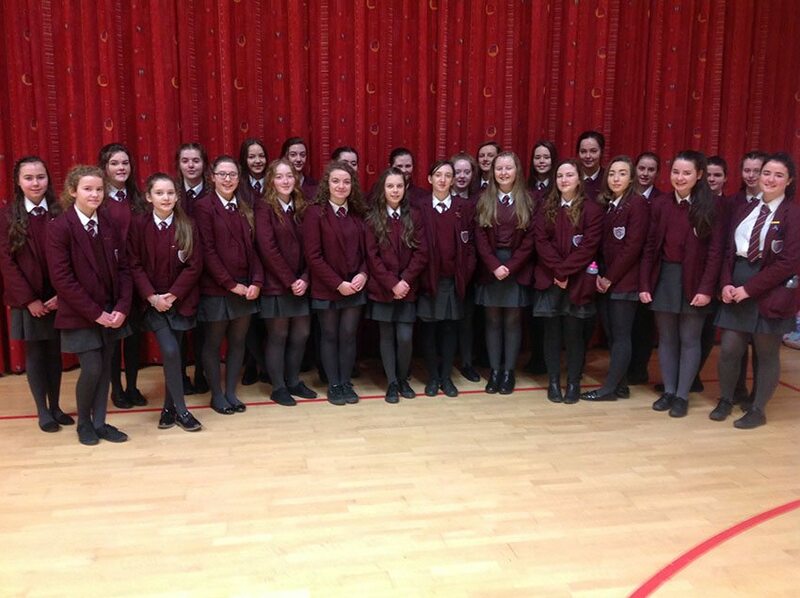 This group consists of 5 pupils, Aimee Fitzpatrick, Rachel Keenan, Shannon Simmons, Emma Leonard and Katie Thompson. 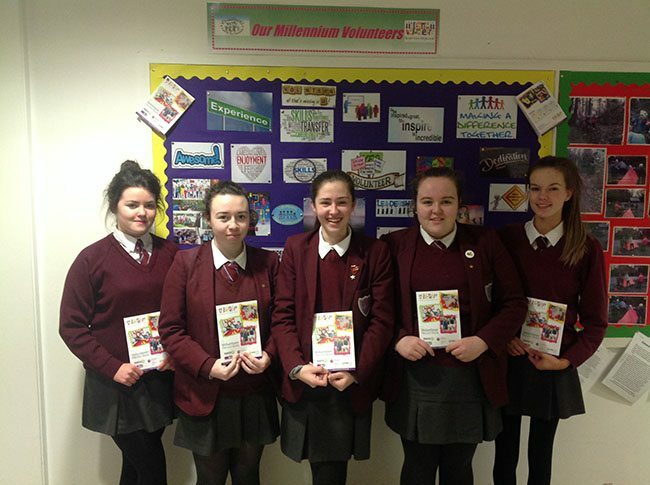 The role of this team is to promote volunteering within St. Fanchea’s College and throughout the wider community. These pupils will have close contact with the volunteer co-ordinating teacher in St. Fanchea’s College, other staff members and representatives from many local organisations. They will share the idea of volunteering and its benefits for the pupils as well as those they are volunteering for. 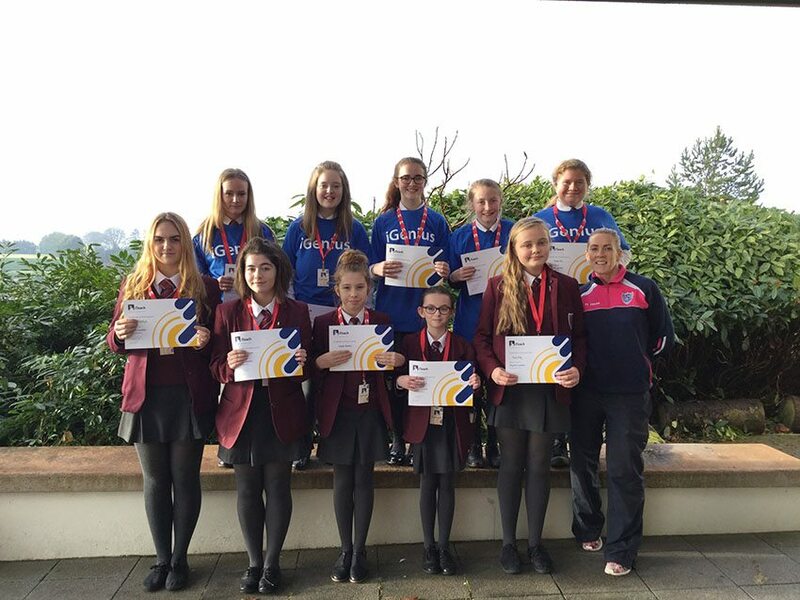 They will promote the Millennium Volunteer Award through having regular meetings with pupils, speaking at assemblies, and sharing volunteering opportunities on the school noticeboard and website.